Check out Tobi's Twist Around Top Don't get it twisted in the Twist Around White Top. 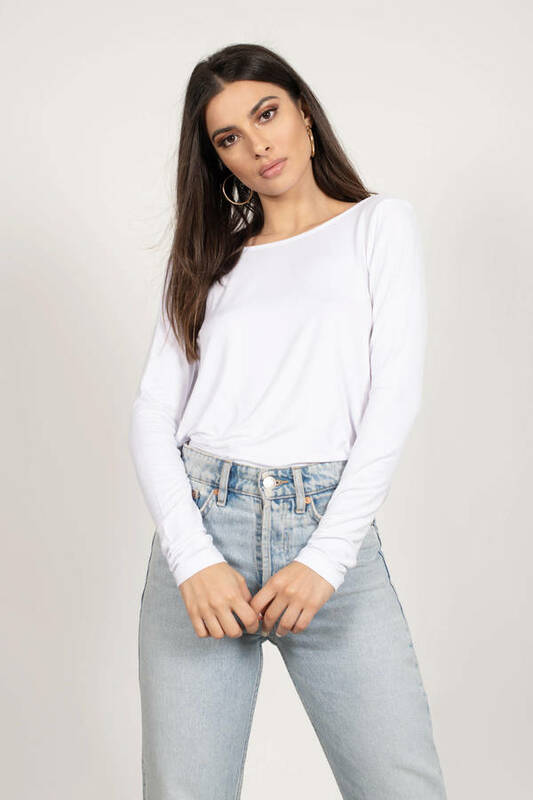 This basic long sleeved tee has a plunging back with a twist detail on a stretchy jersey fabric. This backless crew neck top looks effortless with boyfriend jeans and ankle boots. 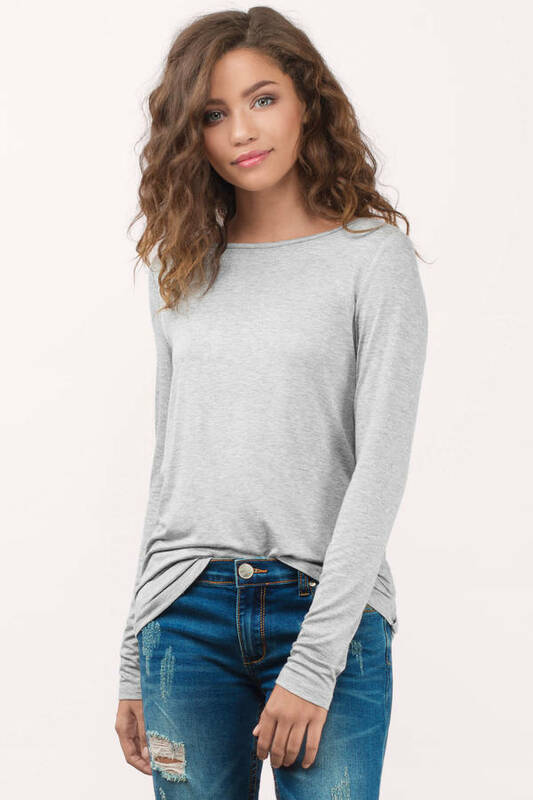 Don't get it twisted in the Twist Around Heather Grey Top. This basic long sleeved tee has a plunging back with a twist detail on a stretchy jersey fabric. This backless crew neck top looks effortless with boyfriend jeans and ankle boots. Don't get it twisted in the Twist Around Black Top. 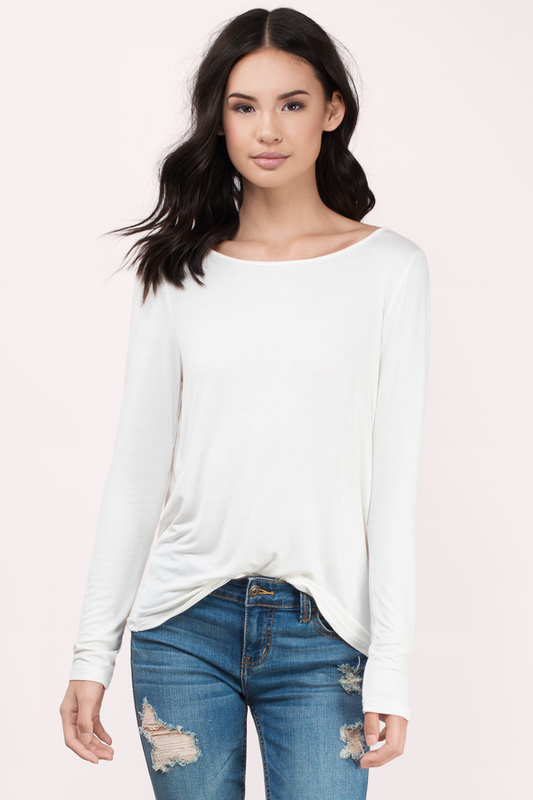 This basic long sleeved tee has a plunging back with a twist detail on a stretchy jersey fabric. This backless crew neck top looks effortless with boyfriend jeans and ankle boots. Don't get it twisted in the Twist Around White Top. 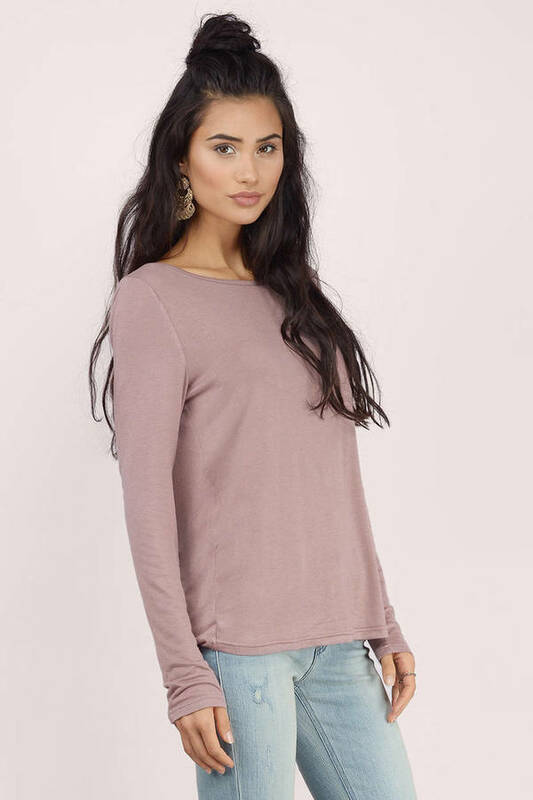 This basic long sleeved tee has a plunging back with a twist detail on a stretchy jersey fabric. This backless crew neck top looks effortless with boyfriend jeans and ankle boots. Don't get it twisted in the Twist Around Mauve Top. This basic long sleeved tee has a plunging back with a twist detail on a stretchy jersey fabric. This backless crew neck top looks effortless with boyfriend jeans and ankle boots. Don't get it twisted in the Twist Around Ivory Top. This basic long sleeved tee has a plunging back with a twist detail on a stretchy jersey fabric. 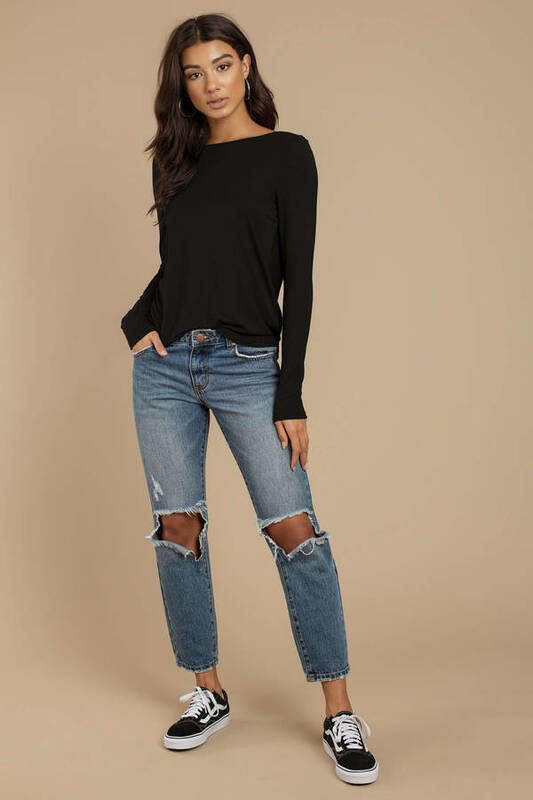 This backless crew neck top looks effortless with boyfriend jeans and ankle boots. Model's profile: height 5' 7", bust 32", waist 24"